Hearts On Fire bracelets are really special. 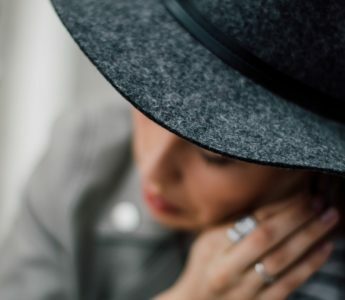 While rings and necklaces tend to get most of the attention in jewelry stores, Hearts On Fire has designed a collection of bracelets that you just can’t ignore. If you want to make a statement, you’ll be thrilled with Hearts On Fire bracelets It’s easy to achieve a powerful look with any one of these eye-catching bracelets. I chose five different Hearts On Fire bracelets that are interesting and unforgettable. These five styles are artsy and bold, and they stand on their own. Slap one of these effortlessly perfect bracelets on your arm, and you won’t need anything more to complete your outfit! 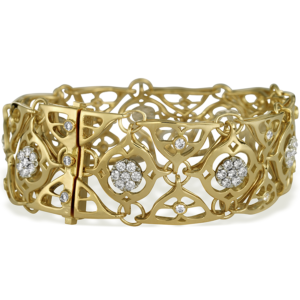 This warm and feminine bracelet is ornate and absolutely beautiful. The swirls of yellow gold make the eyes dance and small white diamonds are arranged to accentuate the center of the pattern. This buttery soft bracelet is comfortable to wear and it is absolutely lovely. It doesn’t get any bolder than this Illa Constellation Bracelet, named for its star shaped gold frames filled with luminous well-cut diamonds. 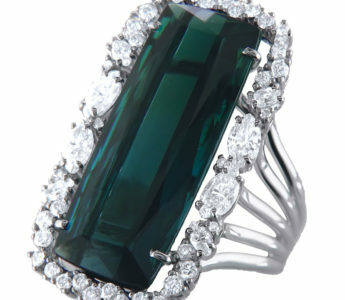 This is a very valuable piece, set with approximately 70 carats in a seven-inch wide band. You’ll steal the show in this! 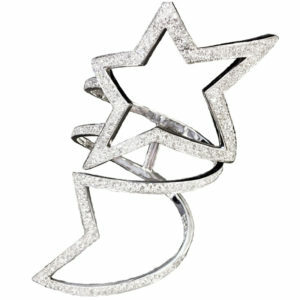 Almost 15 carats of sparkling diamonds are spangled around this star shaped cuff. This bracelet covers a good bit of the forearm, so it’s best to accessorize a sleeveless top or strapless dress. 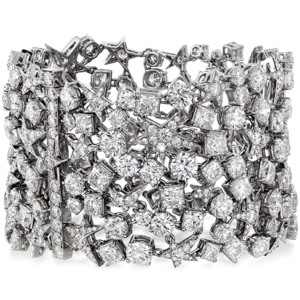 The Illa Diamond Star Comet Cuff is a flashy and youthful bracelet style. 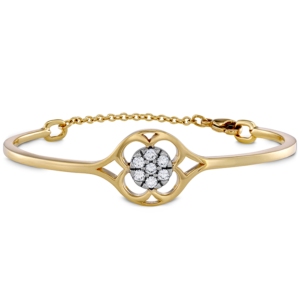 The sleek 18k yellow gold bracelet is a classic style with a sparkly centerpiece. This dainty piece still makes a big statement with the contrast of colors and interesting cut outs that create a flower-like design. 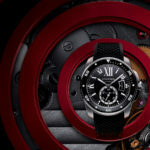 This style also comes in rose gold with platinum. 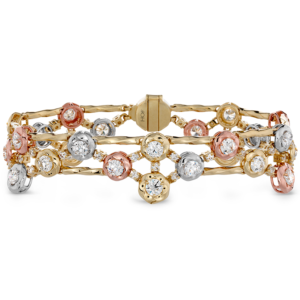 For true fashion lovers, this bracelet artfully features the mixed metals trend. If you like the style of mixed metals and wearing different types of gold, you’ll love the combination of the yellow, rose and white gold with addition of white diamonds. 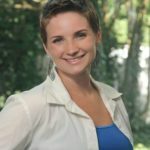 If you prefer jewelry that is not so flashy, and you like understated beauty, you can opt for the more basic pieces in the Hearts On Fire bracelets collection. 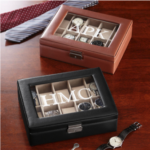 There are plenty of minimalized styles that can be stacked on and paired up, or worn individually if you want your look to be subtle. It’s no secret that Rihanna really, really likes Hearts On Fire jewelry. This pop music starlet stacked up several Hearts On Fire bracelets to polish up her look for The Billboard Music Awards. Rihanna hit the red carpet wearing the Lorelei Ribbon Diamond Bracelet plus she added some extra bling with a few Temptation Three-Prong Bracelets. This was an understated look for the celebrity who usually flaunts bolder fashions, but I love the way she stacked up a bunch of simple diamond bangles. You can choose a structured cuff or dangly bracelet that makes a bold statement, or you can stack on a few delicate strands for more of a subtle look. Whichever look you’re trying to pull off, there’s a Hearts On Fire bracelet for that!